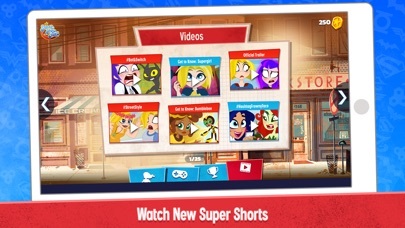 The DC Super Hero Girls universe is expanding and so is the app! A new era of DC Super Hero Girls begins with the brand-new animated series premiering March 8th, 2019 on Cartoon Network in the U.S. The world may know them as Wonder Woman, Supergirl and Batgirl, but not-so-typical teenagers Diana, Kara and Barbara, alongside their Super Hero friends have much more to deal with than just protecting the citizens of Metropolis from some of the most sinister school-aged Super-Villains of the DC Universe. After all, being teens is tough enough, what with school, friends, family and the chaos that comes with managing a social life. But add super powers and a secret identity to the mix, and things can get a lot more exciting. 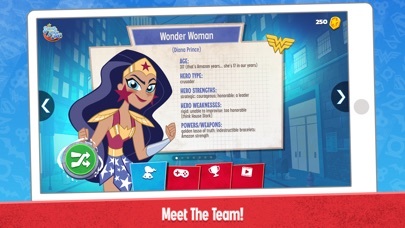 Meet these iconic Super Heroes, watch videos, and play games in the official DC Super Hero Girls mobile app! Features •	New webisodes added weekly. 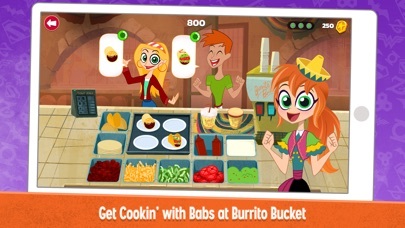 •	Help Babs fill burrito orders in a brand new game. 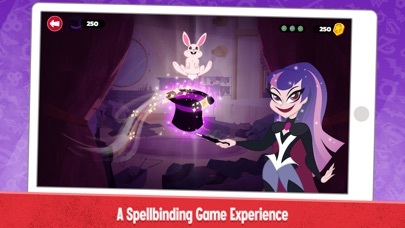 •	Practice magic spells in Zatanna’s new game. •	Work with Batgirl to re-assemble pictures in the puzzle lab. 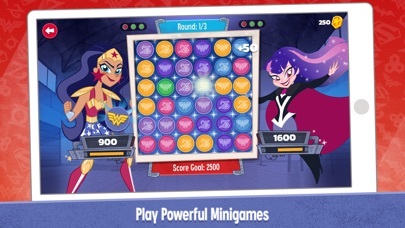 •	Form your strategy in a matching game against another Super Hero. •	Accomplish daily missions and earn rewards. I love it! So much! It’s really fun! Yay ya I love super hero’s! By I love it very much!